Bacolod, the "City of Smiles" will once again celebrate its world renowned Masskara Festival this year! And for 2012 the theme is "Life’s Good in Bacolod". They say that Bacolod City has the happiest festival in the country. Maybe a lot of you are wondering what does the word Masskara means. Mass, which means "many", and Kara, a Spanish word for "face". 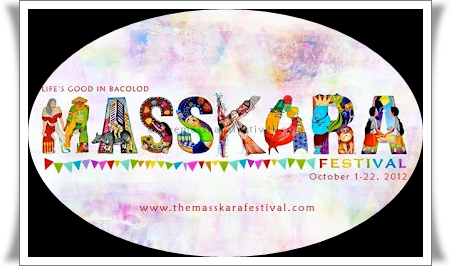 Masskara Festival is the most anticipated festival in the country held every 3rd week of October in Bacolod City. The street dancing competitions for schools and barangay categories is the Masskara festival's highlights which will be happening on October 20-21, 2012. When I went to Bacolod City in 2010 I stayed in this very cheap and affordable hostel/ guest/pension houses/ inn.